For centuries German hunters and adventurers have set off with landjäger in their pockets. This smoked and cured meat traveled well and provided sustenance and energy when it was most needed. That’s how it got its name, the hunter’s meat. Today, landjäger still provides the perfect boost of energy for your outdoor adventure, which is why we call it the #survivalsnack. 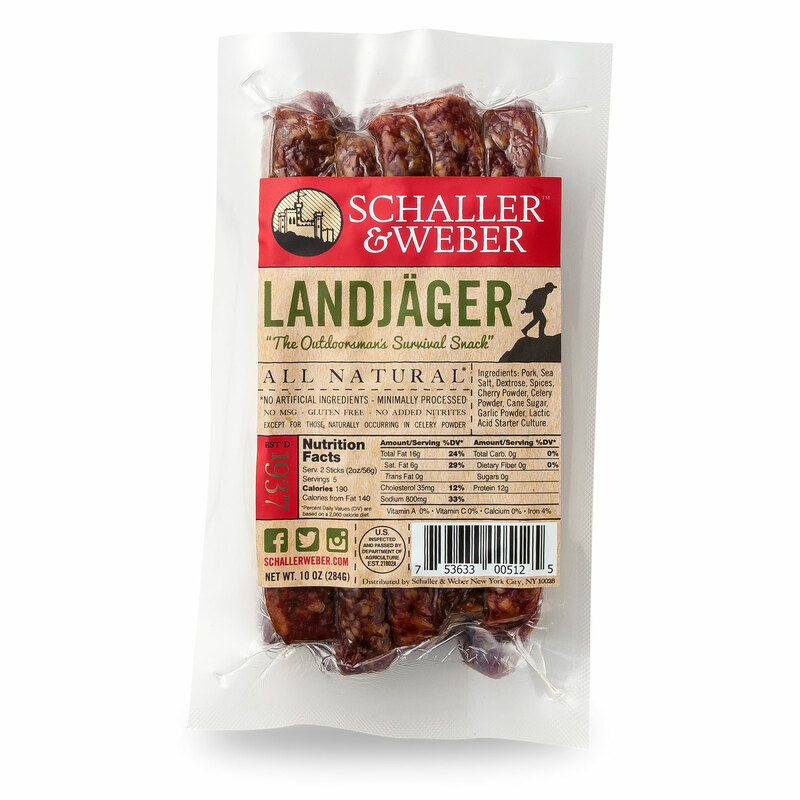 For those who want great taste and the comforts of home, the landjäger pairs perfectly with your charcuterie board. Each pair conveniently fits in your pocket and supplies 13 grams of protein when your body wants it most. Given the history of Landjäger it’s clear to see why they are adventure fuel as old as adventure itself. Available in 2-ounce retail pack and 10-ounce bulk packs.